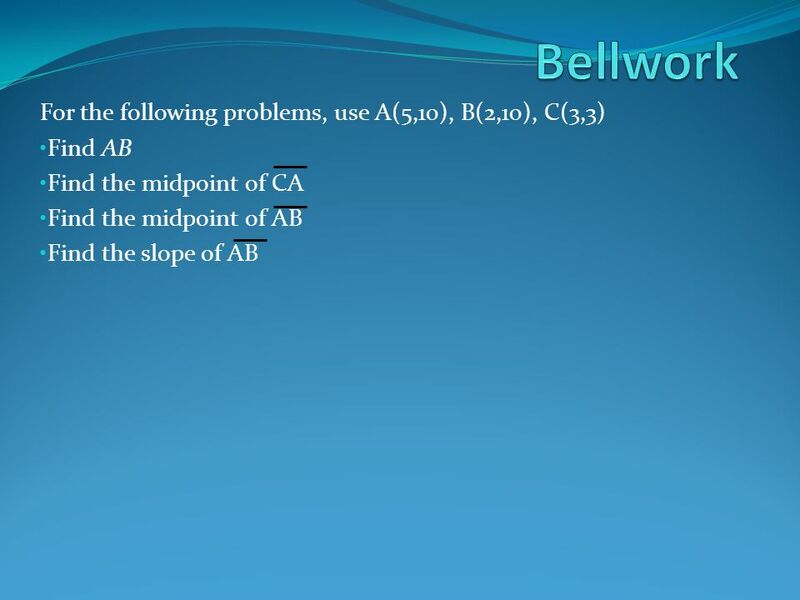 For the following problems, use A(5,10), B(2,10), C(3,3) Find AB Find the midpoint of CA Find the midpoint of AB Find the slope of AB. 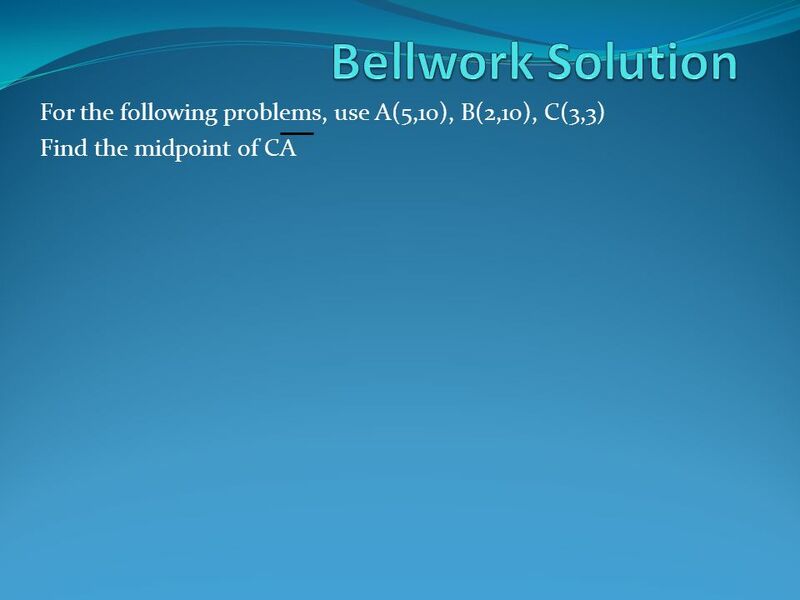 Download ppt "For the following problems, use A(5,10), B(2,10), C(3,3) Find AB Find the midpoint of CA Find the midpoint of AB Find the slope of AB." 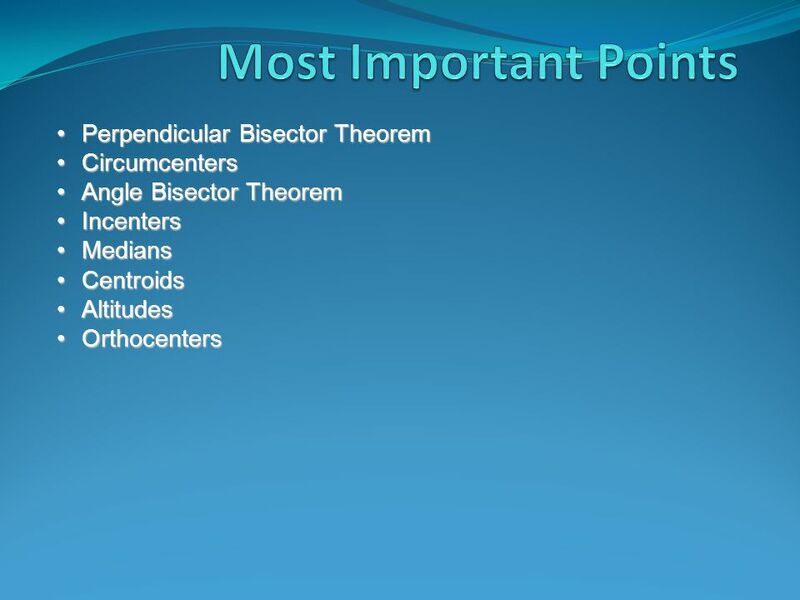 1 Relationships in Triangles Bisectors, Medians, and Altitudes Section 6.1 – 6.3 Students Should Begin Taking Notes At Screen 4!! 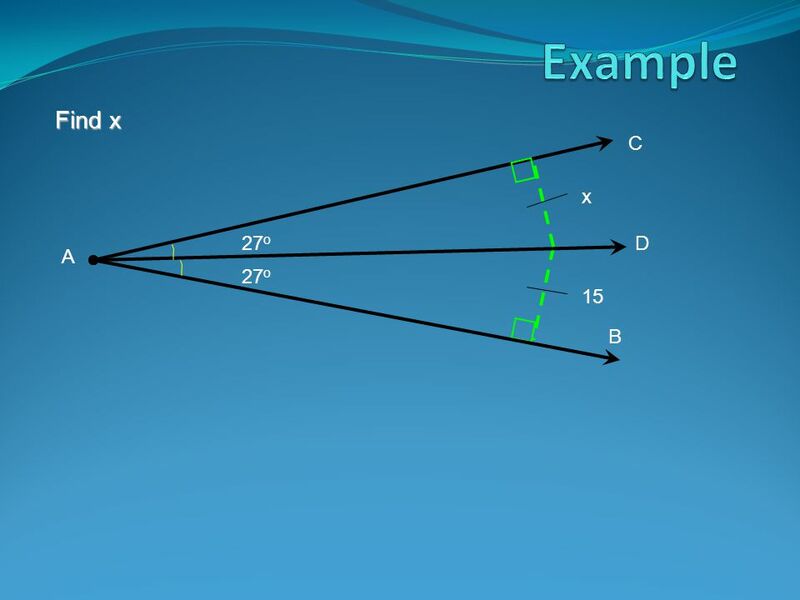 4-7 Median, Altitude, and Perpendicular bisectors. 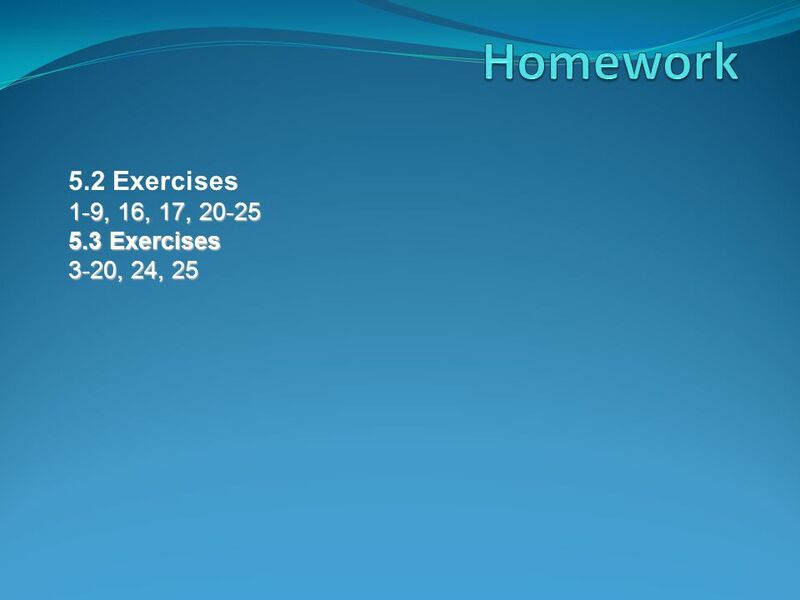 Jim Smith JCHS SECTION 5-1 spi.3.2.J. 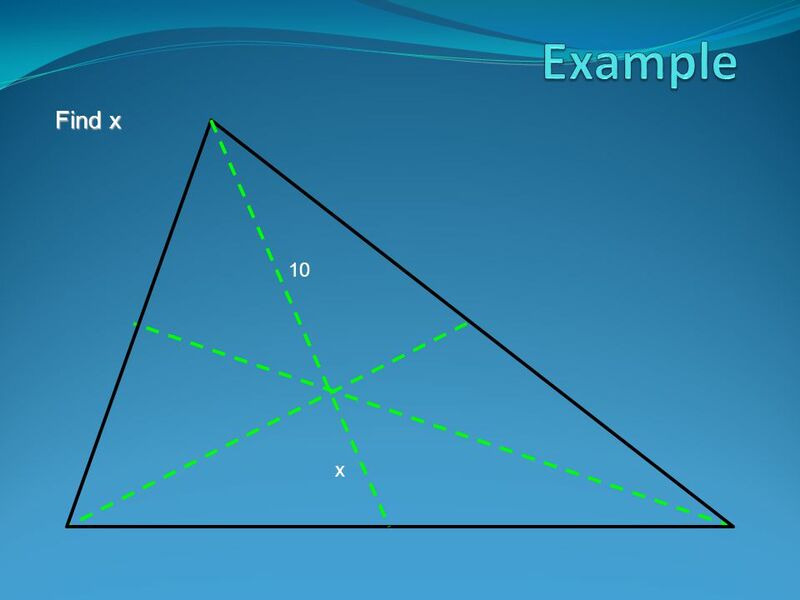 There are 3 of each of these special segments in a triangle. 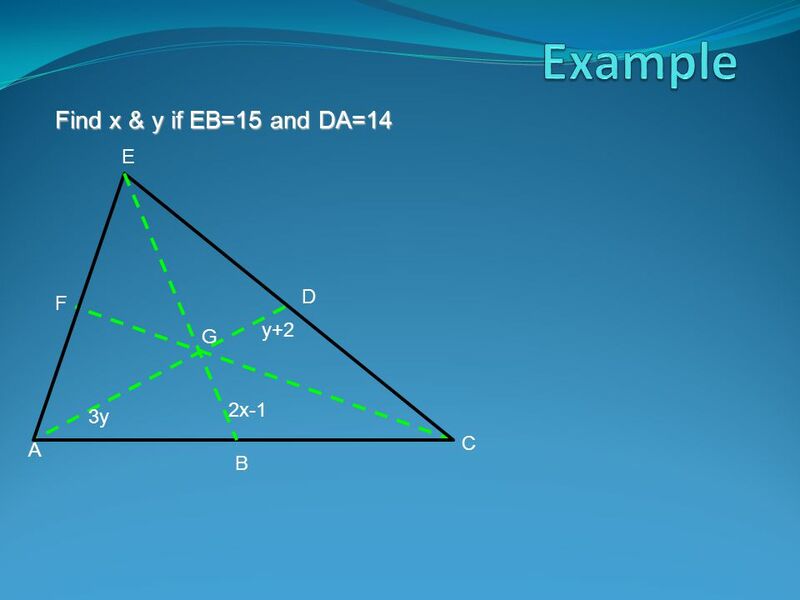 segments in a triangle. 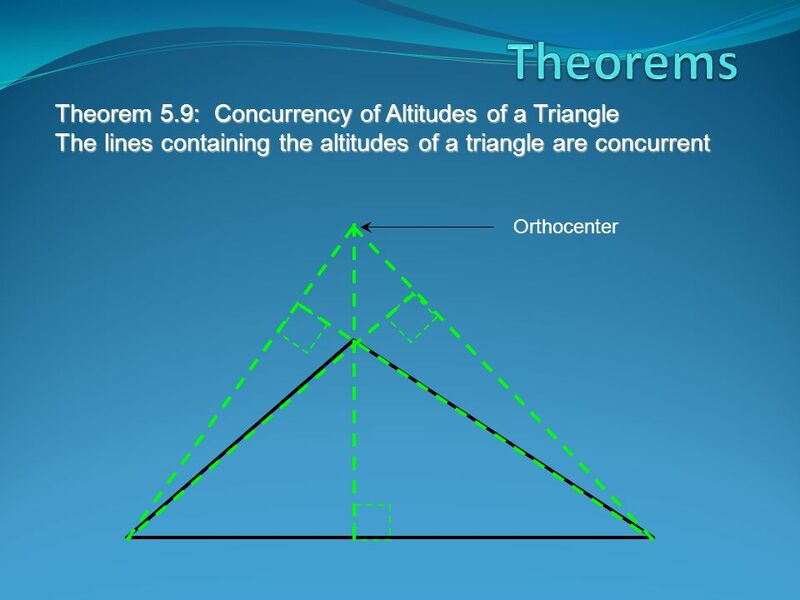 The 3 segments are concurrent. 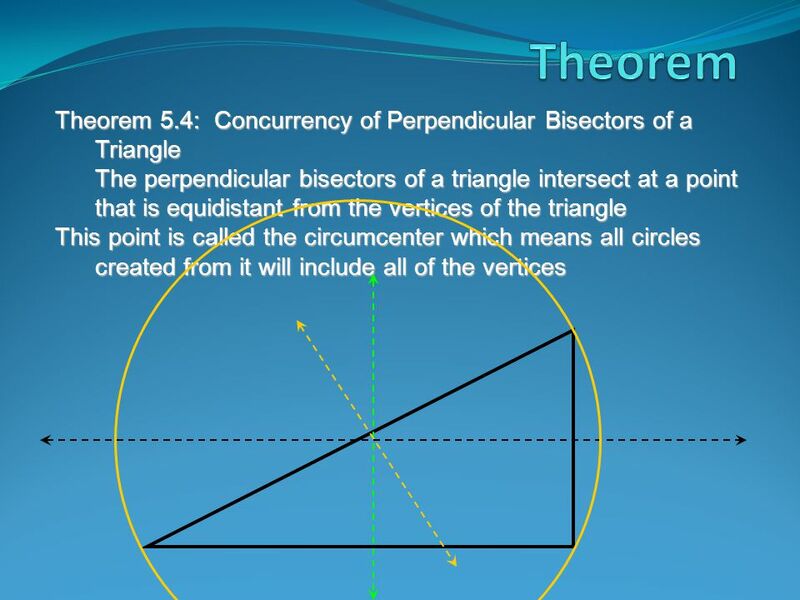 Chapter 5 Perpendicular Bisectors. 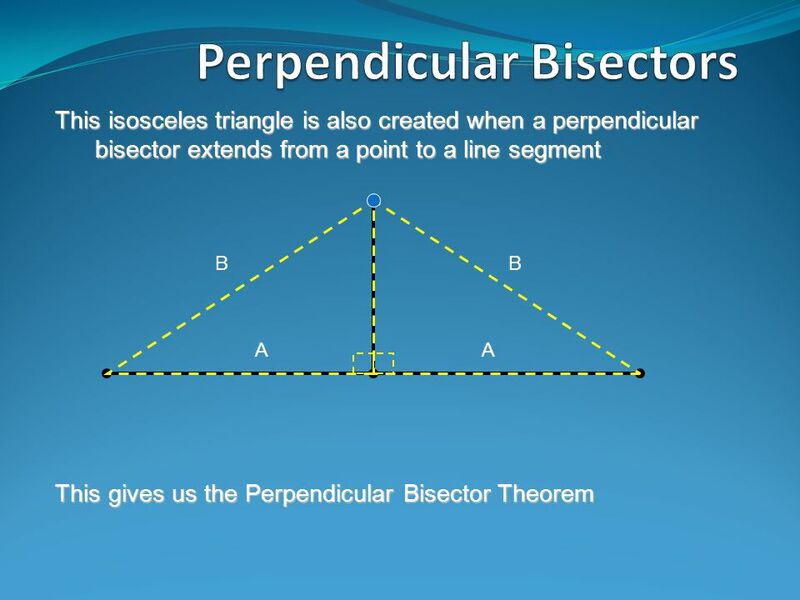 Perpendicular bisector A segment, ray or line that is perpendicular to a segment at its midpoint. 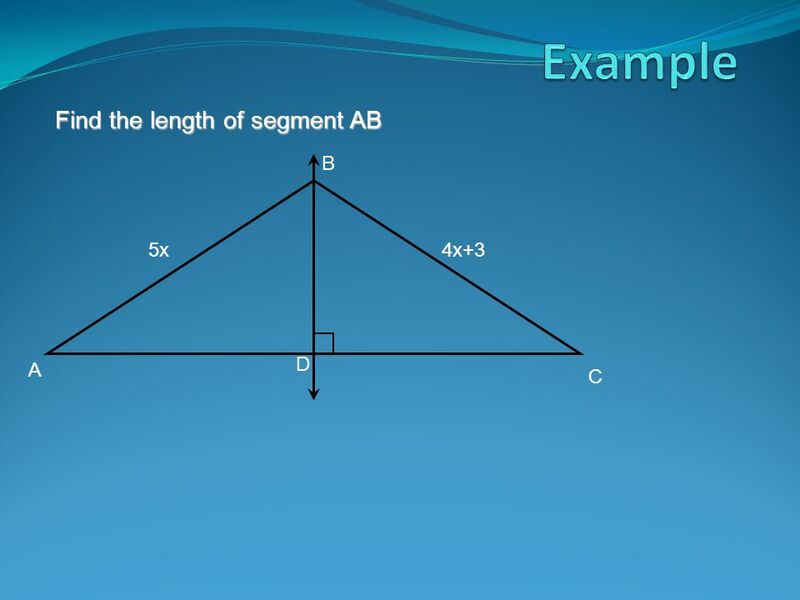 Find the length of side AB A CD E B. 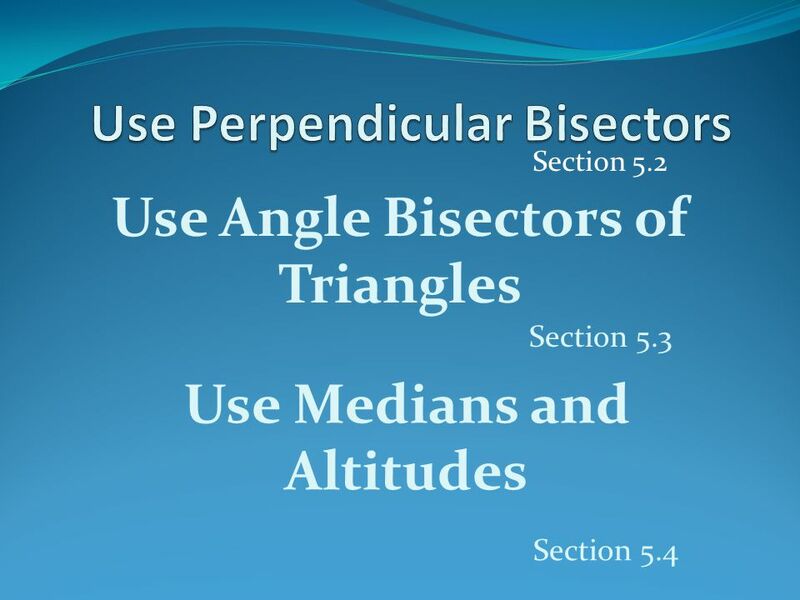 Section 5.2 Use Angle Bisectors of Triangles Use Medians and Altitudes Section 5.4 Section 5.3. 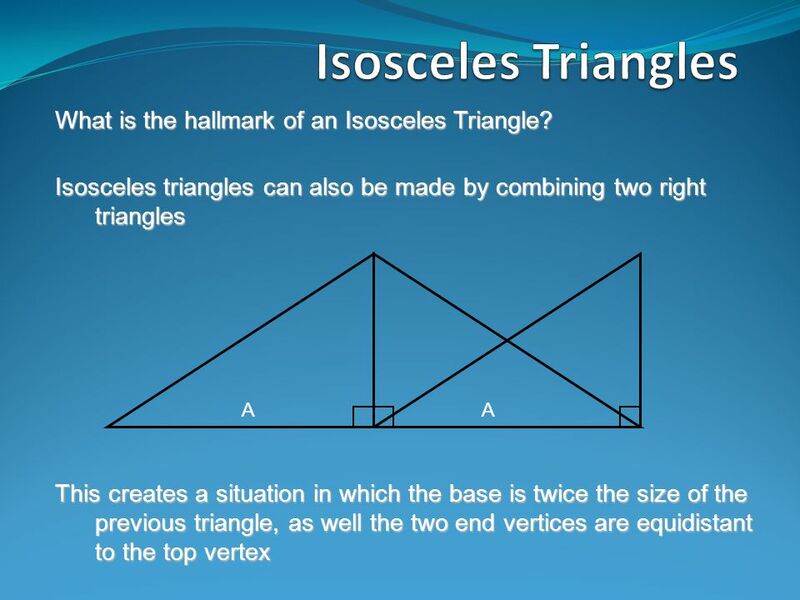 Warm- up Type 2 writing and Construction Write your own definition and draw a picture of the following: Angle Bisector Perpendicular Bisector Draw an acute. 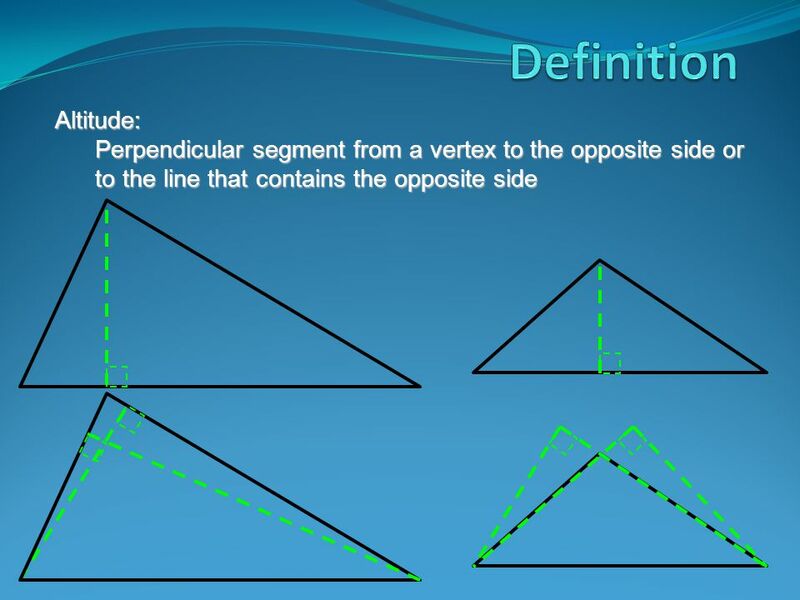  Definition:  A line that passes through the midpoint of the side of a triangle and is perpendicular to that side. 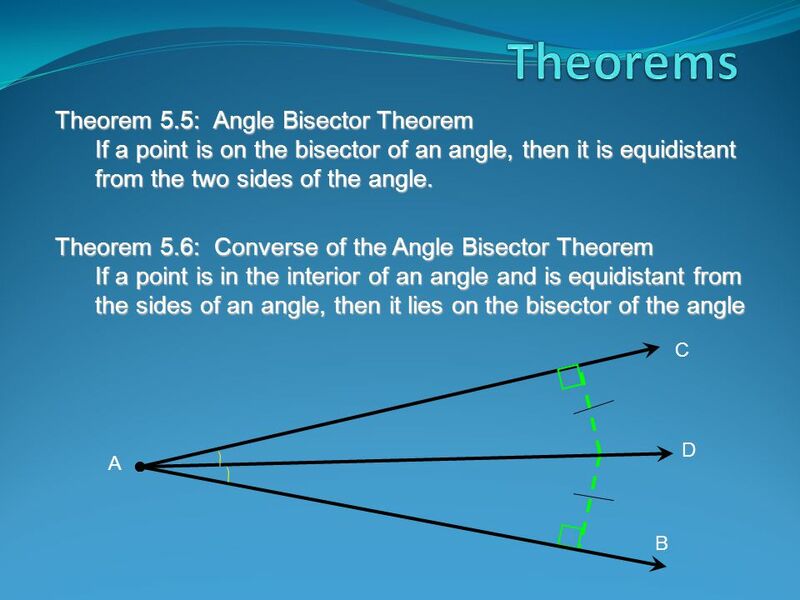 5.2 Bisectors of Triangles5.2 Bisectors of Triangles  Use the properties of perpendicular bisectors of a triangle  Use the properties of angle bisectors. 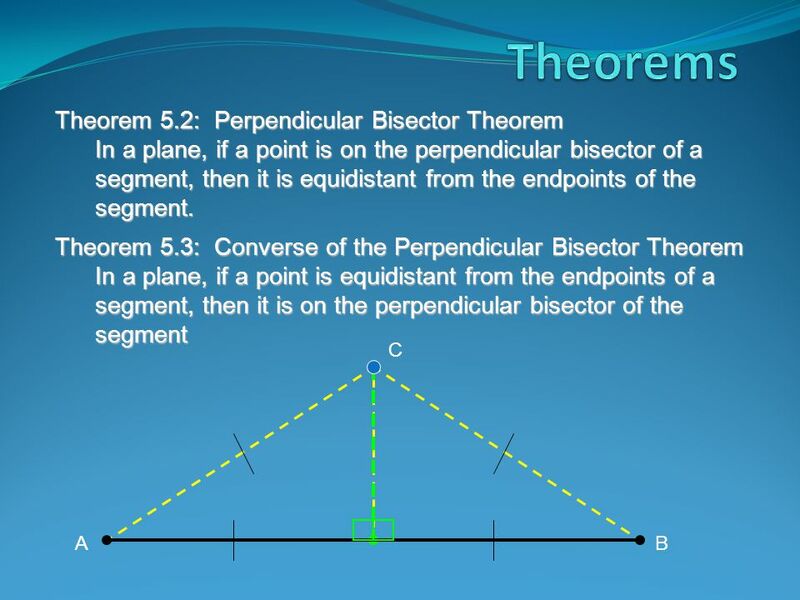 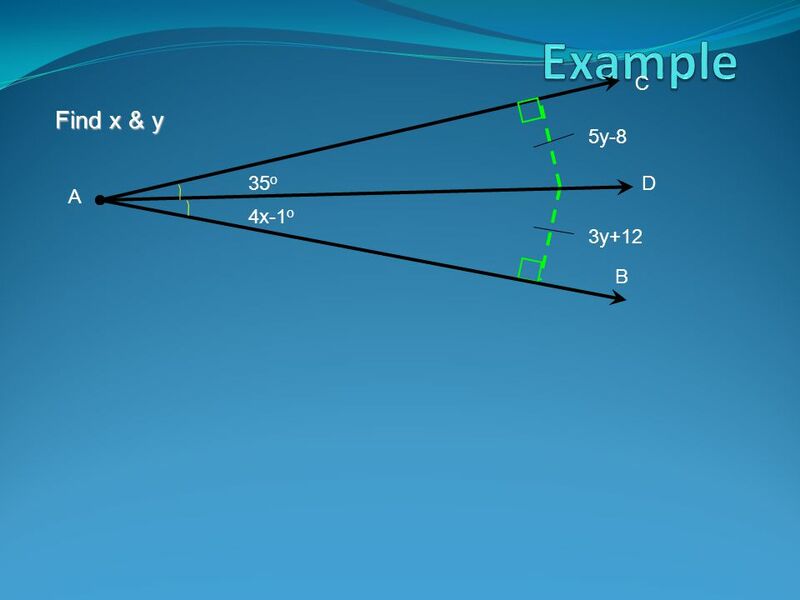 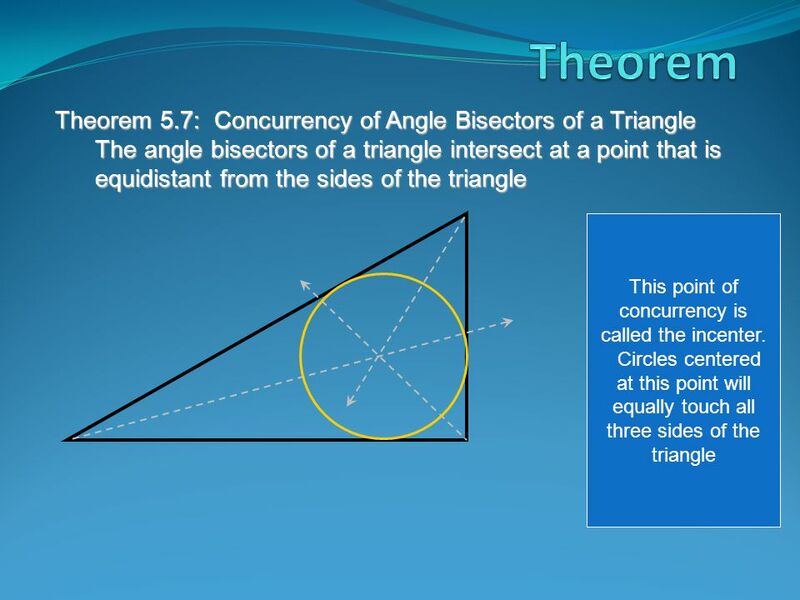  Perpendicular bisector – is a line that goes through a segment cutting it into equal parts, creating 90°angles  Perpendicular bisector theorem – if. 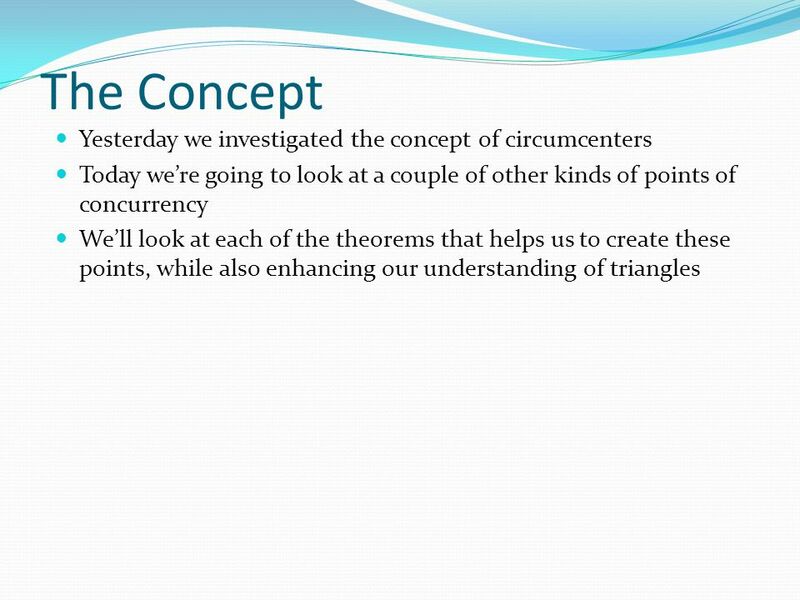 Concurrent Lines Geometry Mrs. King Unit 4, Day 7. 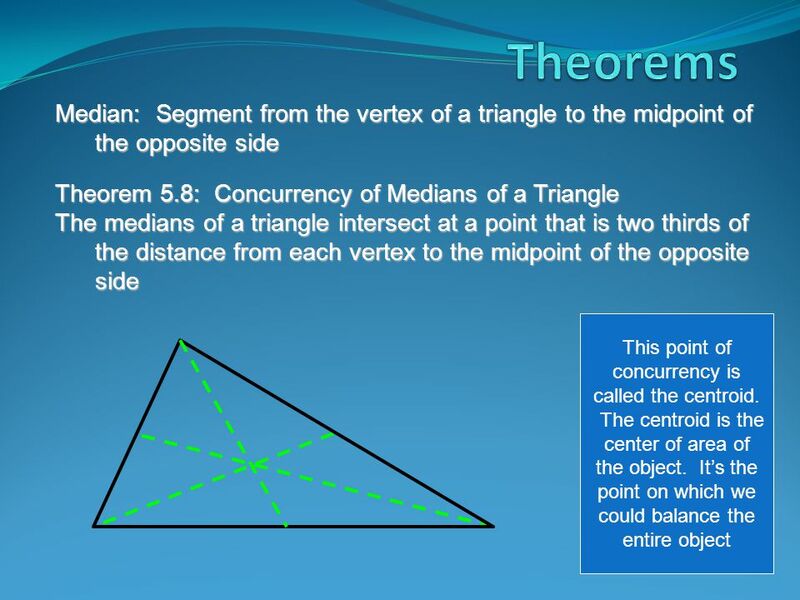 Medians, Altitudes and Concurrent Lines Section 5-3. 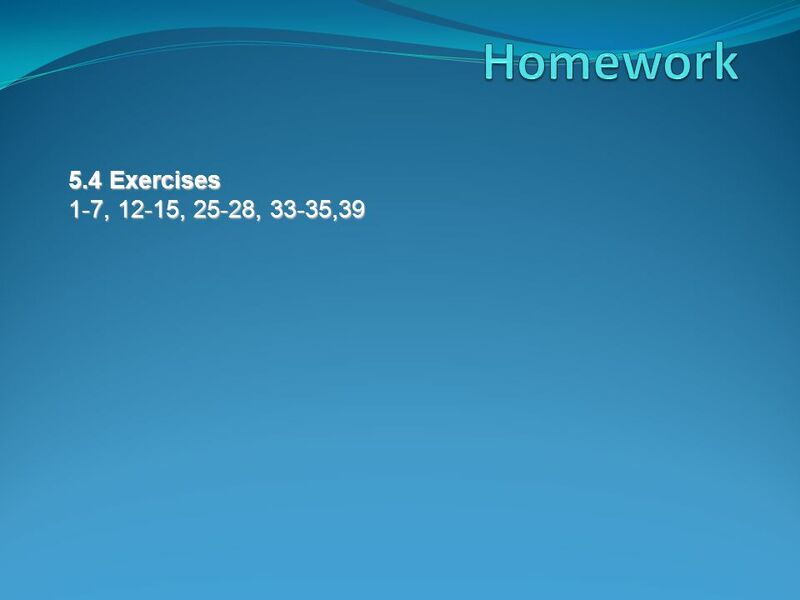 Day 4 agenda Go over homework- 5 min Warm-up- 10 min 5.3 notes- 55 min Start homework- 20 min The students will practice what they learned in the computer.